Can you put a price on a good night’s rest? Nope. But right now, you can get this extra plush set from eLuxury for half-off. 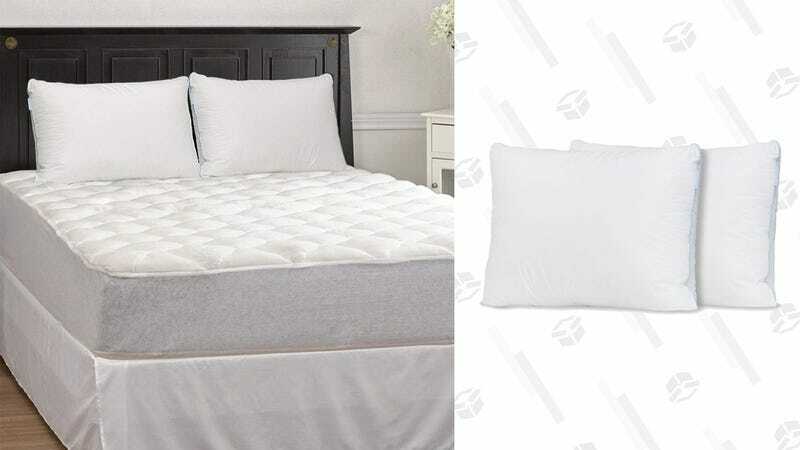 This bundle includes a bamboo mattress pad, fitted skirt and a pair of firm pillows. Use the promo code LKLTUJ4N at checkout to cut the price in half.